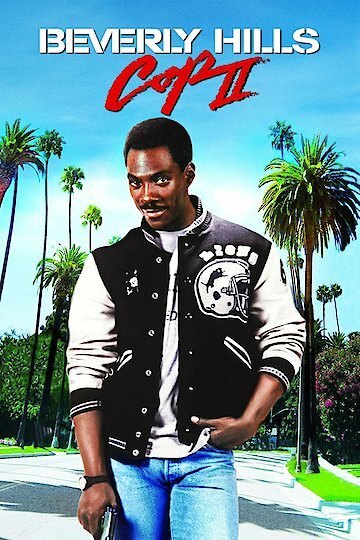 Axel Foley (Eddie Murphy) is the funny, street smart Detroit detective. He returns to Beverly Hills to help the naive, but well meaning detective, Rosewood (Judge Reinhold) and Sergeant Taggart (John Ashton) solve a series of nasty crimes. Beverly Hills police chief Bogomil (Ronny Cox), Taggart and Rosewood are trying to figure out who is responsible for a rash of high end robberies. The local media outlets labeled the crimes as the "Alphabet Crimes" because of the monogrammed envelopes left at the scene. Additionally, Bogomil becomes a victim of a near fatal attack. Axel learns of the attack on Bogomil, and abruptly leaves Detroit for Beverly Hills. His purpose: to avenge the death of his friend. Beverly Hills Cop II is currently available to watch and stream, download, buy on demand at Amazon Prime, Hulu, EPIX, IFC, Amazon, Vudu, Google Play, iTunes, YouTube VOD online.